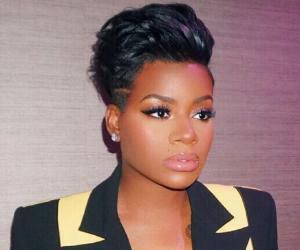 Fantasia Monique Barrino is an American R&B singer, songwriter, and actress. Check out this biography to know about her childhood, family, personal life, career, achievements, etc. Fantasia Monique Barrino is an American R&B singer, songwriter, and actor. She came into prominence after winning the ‘American Idol’ title at the age of 19. She dropped out of high school and gave birth to her first child at the age of 17. Music was her forte, and her triumph at the American Idol contest set the course for her career. Following her win, she signed a contract with ‘J Records’ and released her debut single, ‘I Believe.’ It created history in being the first debut single to debut at the number one spot on the ‘Billboard Hot 100’ list. Her debut studio album, ‘Free Yourself,’ debuted at the eighth place on the ‘Billboard 200’ list and was certified ”platinum.” Fantasia had an estranged relationship with her father and has survived a suicide attempt. Inconsistent in her relationships, she had a number of affairs that led her to an abortion. She gave birth to her second child in 2011. She then married businessman Kendall Taylor and finally settled into a stable lifestyle. Her autobiography, ‘Life Is Not a Fairy Tale,’ became a bestseller. 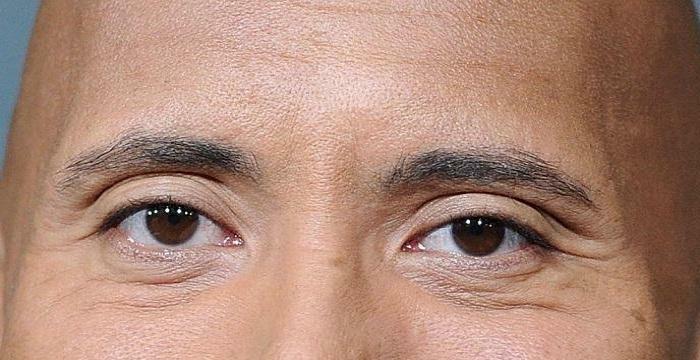 She is currently a celebrity in her own right and lives happily with her husband. Fantasia was born on June 30, 1984, in High Point, North Carolina, US, to Diane and Joseph Barrino. She belonged to a musically inclined family. Her uncles were part of ‘The Barrino Brothers,’ who played R&B music in the 1970s. She was influenced by this family trait and started singing at the age of 5. Her brother, Ricco Barrino, also participated in ‘American Idol’ but did not make it to the final round. She attended ‘Andrews High School’ in High Point. It was here that she was raped by a classmate. She was in a relationship with Brandel Shouse when she conceived her first child at the age of 16. She dropped out of high school and gave birth to her daughter, Zion Quari Barrino, on August 8, 2001. 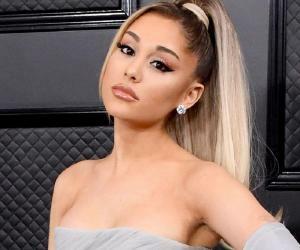 She signed a contract with ‘J Records’ and released her debut single, ‘I Believe.’ This became the first debut single to debut at the number one spot on the ‘Billboard Hot 100’ list. The CD of the single was certified “double platinum” by the ‘Canadian Recording Industry Association’ (CRIA). Her debut studio album, ‘Free Yourself,’ was released in November 2004. It debuted at the eighth spot on the ‘Billboard 200’ list. The album was certified “platinum” in the US and one of its singles, ‘Truth Is,’ reached the second spot on the ‘Billboard Hot R&B/Hip Hop Songs’ list. Her number ‘Baby Mama’ stirred up a controversy for promoting single motherhood. In 2005, she made a number of TV appearances as a guest, promoting her album. She also portrayed Aretha Franklin in the series ‘American Dreams’ and had a voice role in ‘The Simpsons’ episode ‘A Star is Torn.’ She also performed at the ‘NAACP Image Awards’ in honor of the then-senator Barack Obama and won the award for ‘Outstanding Female Artist’ at the ceremony. Her autobiographical movie, ‘The Fantasia Barrino Story: Life is Not a Fairy Tale,’ was viewed more than 19 million times on ‘Lifetime’ in 2006. It became the channel’s second-most-viewed program of all time. She released her second album, ‘Fantasia,’ in December 2006. It was certified “gold.” She starred in the ‘Broadway’ musical ‘The Color Purple,’ based on the ‘Pulitzer’-winning novel of the same name by Alice Walker. It boosted her ratings as a singer and a stage actor. She won a ‘Theatre World Award’ for her performance in the musical in 2007. Oprah Winfrey cast her in the film adaption of ‘The Color of Purple’ in 2008. She also performed for a gospel album with her mother the following year. Her third studio album, ‘Back to Me,’ was released in August 2010. This was a blend of her earlier ‘American Idol’ and ‘Broadway’ performances. In 2011, she was awarded the ‘Grammy’ for the ‘Best Female R&B Vocal Performer’ for her single ‘Bittersweet.’ She portrayed Mahalia Jackson in the biopic based on the book ‘Got to Tell It: Mahalia Jackson, Queen of Gospel.’ She was ranked at number 32 on the “100 Greatest Women in Music” list curated by ‘VH1’ in February 2012. She appeared in a cover version of ‘True Colors’ by Cyndi Lauper in 2012. She co-wrote and recorded the superhit ‘In the Middle of the Night’ later that year. She returned to ‘Broadway’ and starred in the musical ‘After Midnight’ in November 2013. It won her positive reviews from critics. She was included in the ‘North Carolina Music Hall of Fame’ in October 2014. She released a Christmas album with Dave Koz the same year. Her 2016 album ‘The Definition of...’ debuted at the sixth spot on the ‘Billboard 200 Chart.’ Her latest Christmas album, ‘Christmas after Midnight,’ was released under ‘Concord Records’ in October 2017. Fantasia has released the studio albums ‘Free Yourself’ (2004), ‘Fantasia’ (2006), ‘Back to Me’ (2010), ‘Side Effects of You’ (2013), ‘The Definition of...’ (2016), and ‘Christmas After Midnight’ (2017). She appeared as herself in the movie ‘The Fantasia Barrino Story: Life is Not a Fairy Tale’ in 2006. She has appeared in the ‘Broadway’ plays ‘The Color Purple’ (2007) and ‘After Midnight’ (2013–2014). Some of her notable TV projects are ‘American Idol’ (2004), ‘American Dreams’ (2004), ‘The Simpsons’ (2005), ‘All of Us’ (2005), ‘An Evening of Stars’ (2007, 2009, and 2011), ‘Fantasia for Real’ (2010), ‘Black Girls Rock!’ (2010), ‘RuPaul’s Drag Race’ (2013), ‘Celebrities Undercover’ (2014), and ‘Joyful Noise’ (2016). She released her autobiography, ‘Life Is Not a Fairy Tale,’ in 2005. In 2009, she won the ‘NAACP Image Award’ for ‘Outstanding Duo’ with Jennifer Hudson. 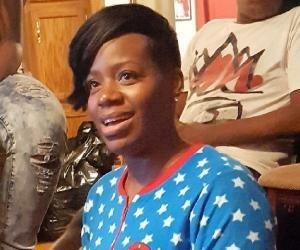 Fantasia had a troubled childhood and an estranged relationship with her father. She did not complete high school and considered herself illiterate when it came to signing documents. She had a number of affairs that led her to an abortion. She also went through a failed suicide attempt. She finally got hold of herself by devoting her life to music. She gave birth to her second child, Dallas Xavier Barrino, on December 13, 2011. She began dating businessman Kendall Taylor in 2013 and married him in July 2015, after which she had a more stable lifestyle. Fantasia was absent from a number of shows of ‘The Color Purple’ due to a cyst on her vocal cords for which she had to undergo a surgery. Her fourth album, ‘Side Effects of You,’ gave birth to a new genre that she called “rock soul.” This became extremely popular in 2013.